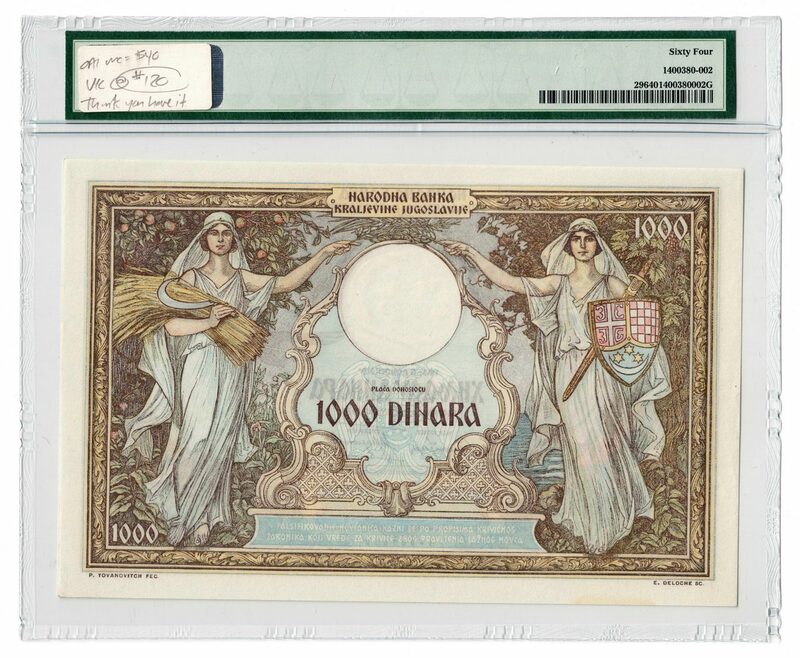 Two (2) Yugoslavia notes, 1000 Kronen and 1000 Dinara. 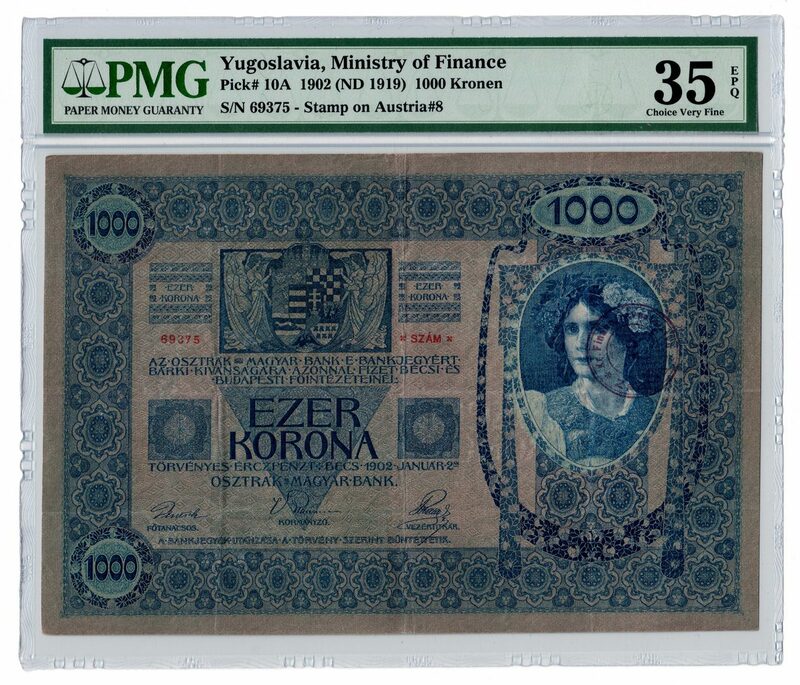 1st item: Yugoslavia, Ministry of Finance 1000 Kronen 1919 Provisional Issue currency note, 1902 (ND 1919). 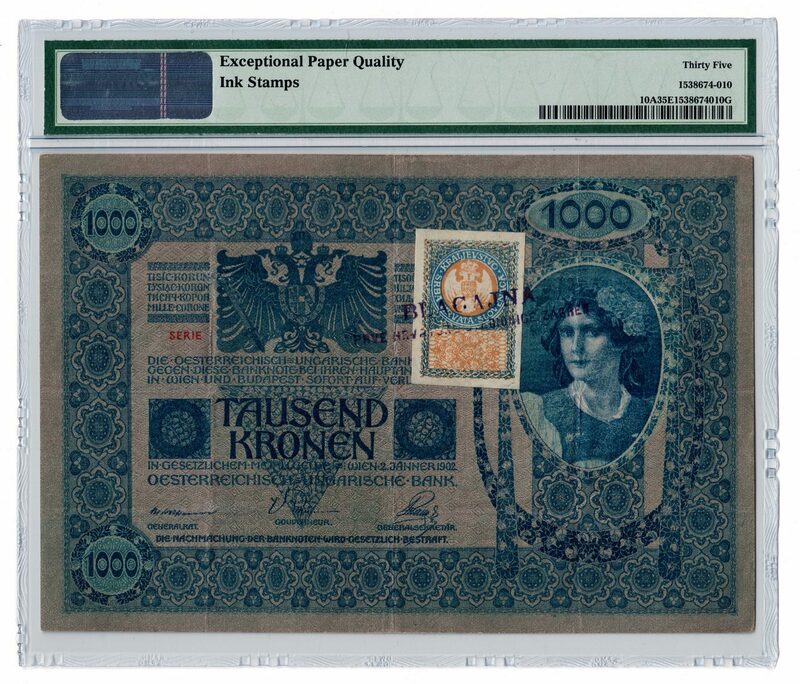 Pick# 10A, Serial # 69375 – Stamp on Austria #8. PMG graded 35/Choice Very Fine. 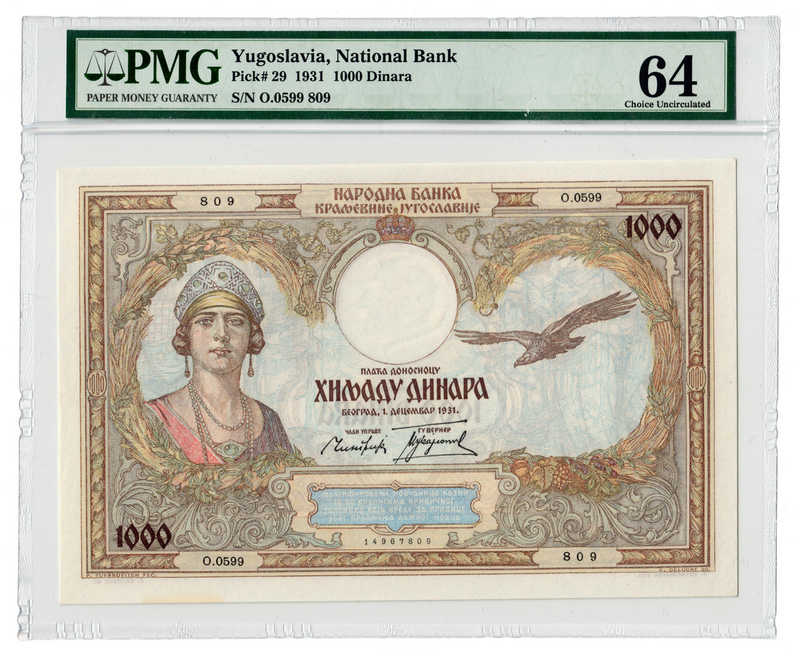 2nd item: 1931 Yugoslavia National Bank 1000 Dinara, the front depicting the Queen and an eagle. Pick #29 and Serial # O.0599 809. 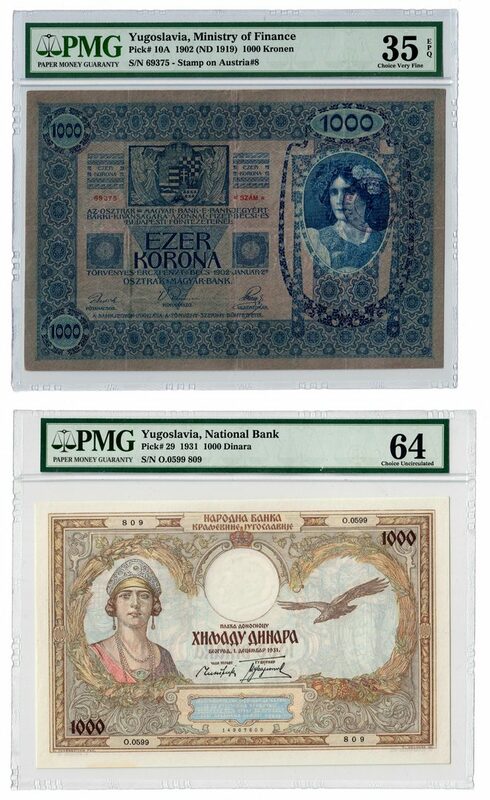 PMG graded 64/Choice Uncirculated. CONDITION: 1st item: PMG graded 35/Choice Very Fine. 2nd item: PMG graded 64/Choice Uncirculated.